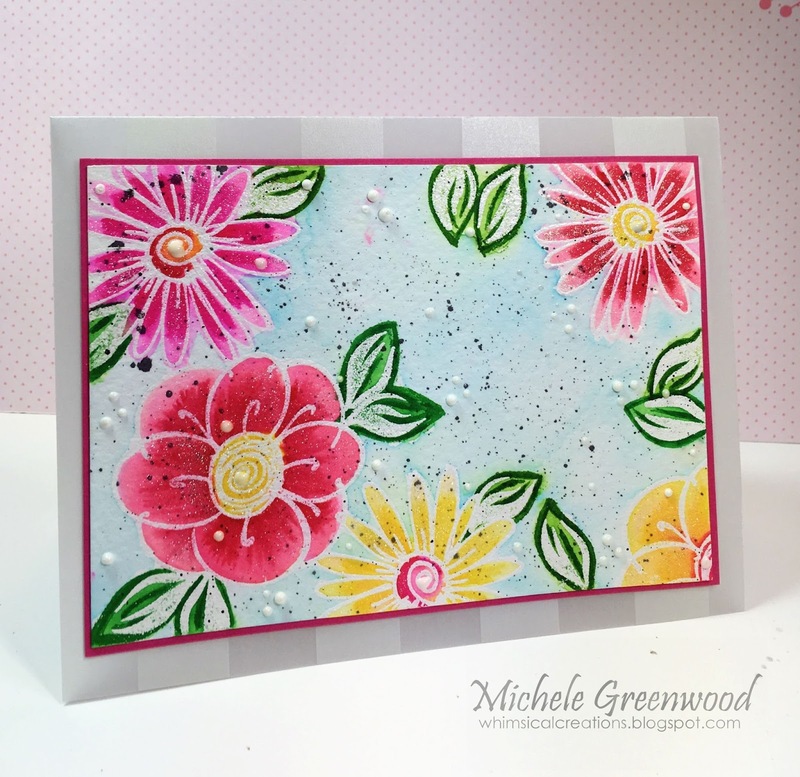 Hi friends – welcome back for another fun collaboration between Hero Arts and Lil’ Inker Designs – lucky me, I already had some fun things in my stash from Lil’ Inker’s which made this card oh so fun to create! My vellum looks hidden, but I promise you its there!! Hubby has a good friend that his wife was diagnosed with pancreatic and liver cancer; she quickly lapsed into coma, never regained consciousness and passed away two weeks later – so incredibly sad. 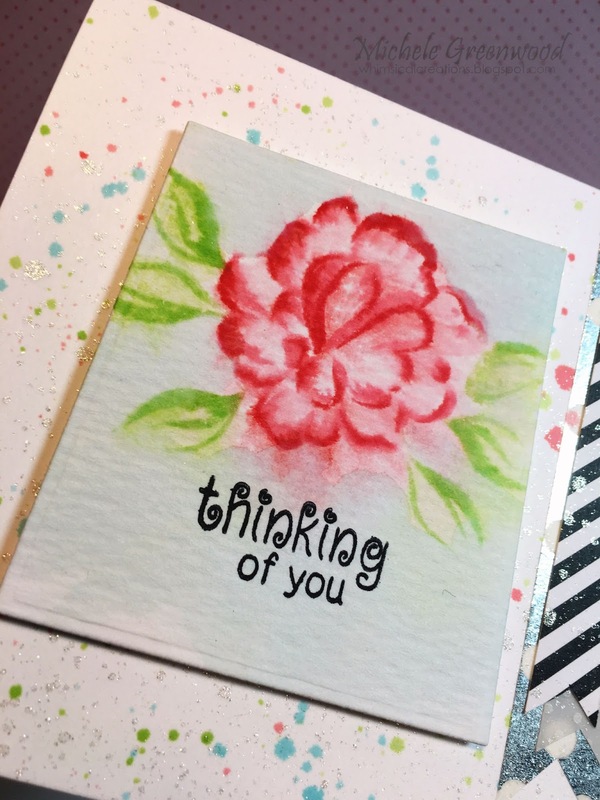 I already had this card in the works and decided to make it into a sympathy card – it’s pretty girly but I know he will appreciate it! 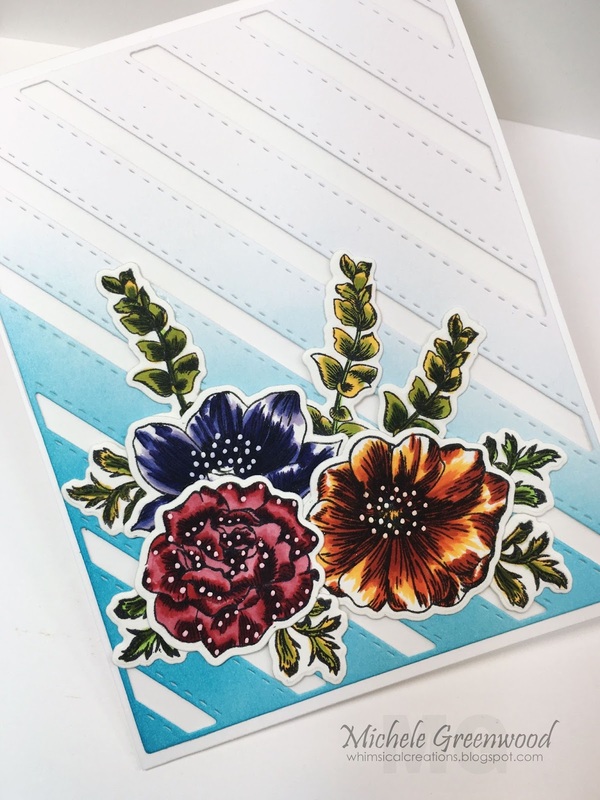 The gorgeous flowers are the Vintage floral set from Lil Inker Designs with matching dies – swoon – they are super gorgeous, yes? 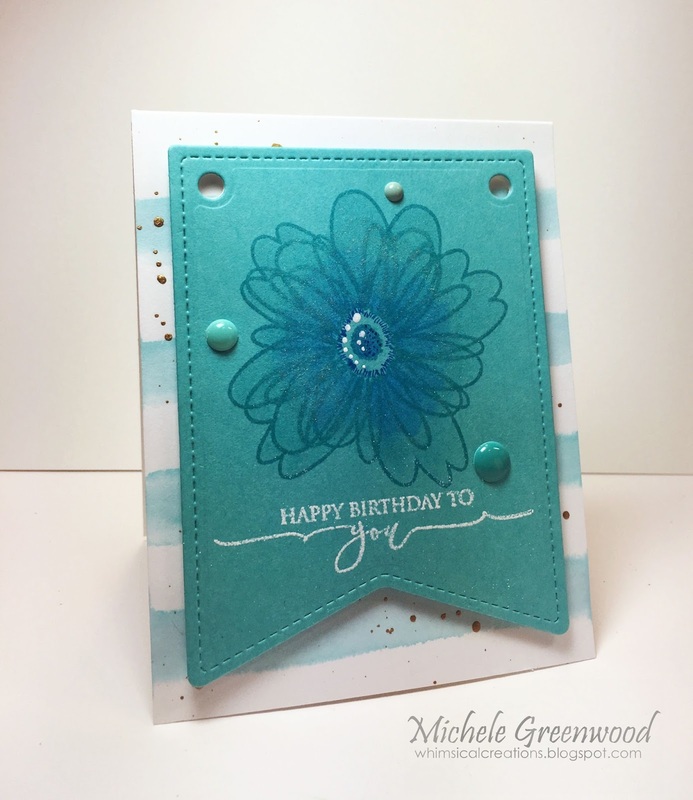 I started with the Stitches and Stripes cover-up die and sponged on Broken China and Mermaid Lagoon distress inks, I removed the inside small pieces and saved those for another card which I’ll show soon. 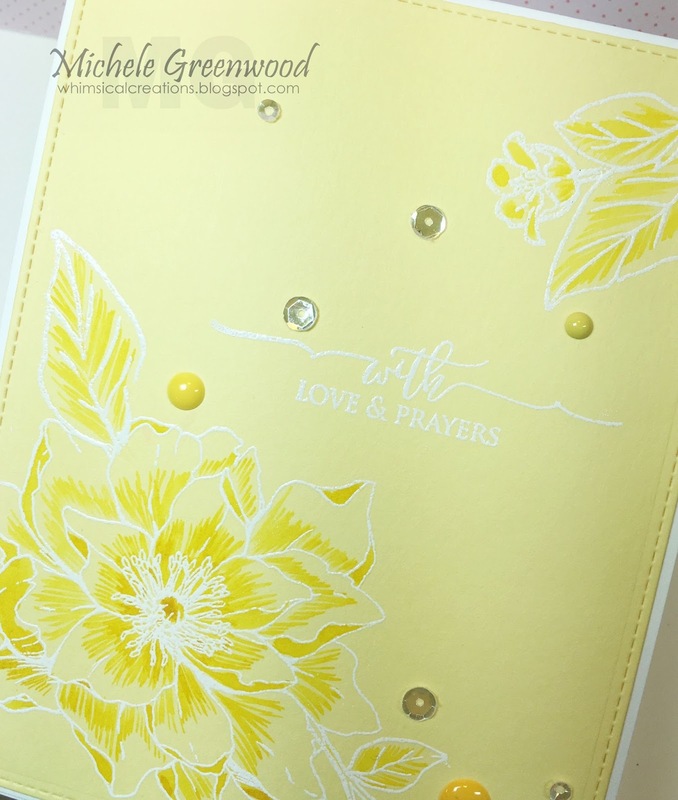 I then colored the flowers and greenery with Copics finishing them off with some white dots, placed them on the card where I liked the arrangement and used the good ole press and seal to pick up the entire bouquet, added adhesive and reapplied – works so well! 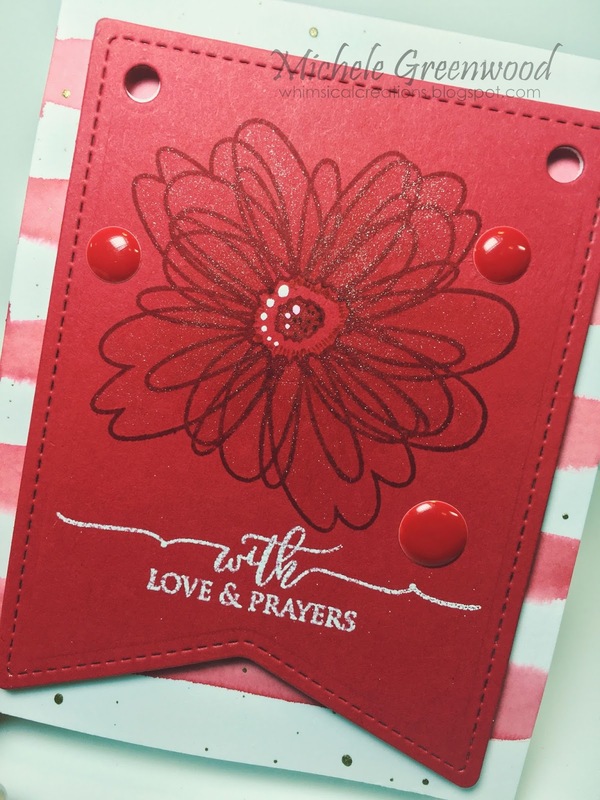 I layered the Stitches and Stripes die on a piece of vellum then adhered the entire piece to a white card base. I used Hero Arts Prayer set for the inside of the card. Thanks for stopping by; have a great day! 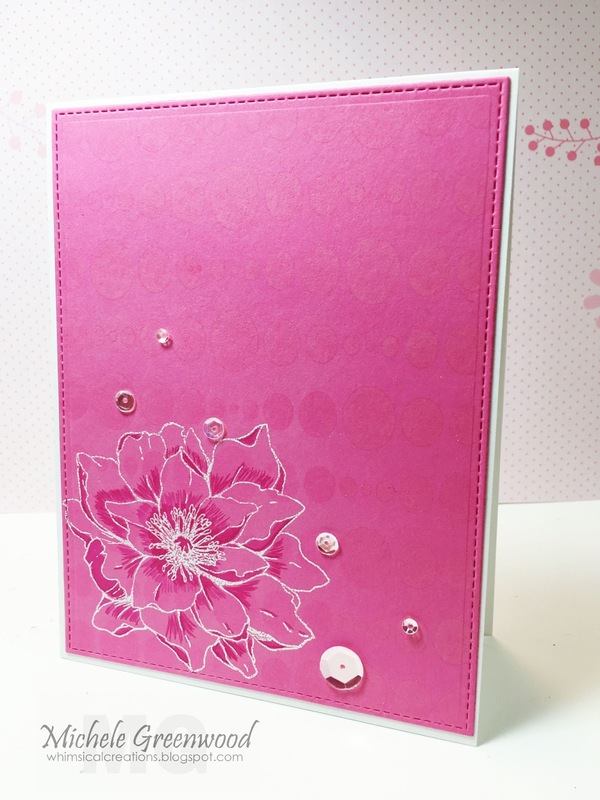 And don’t forget to link up and show us YOUR project using vellum; link HERE! 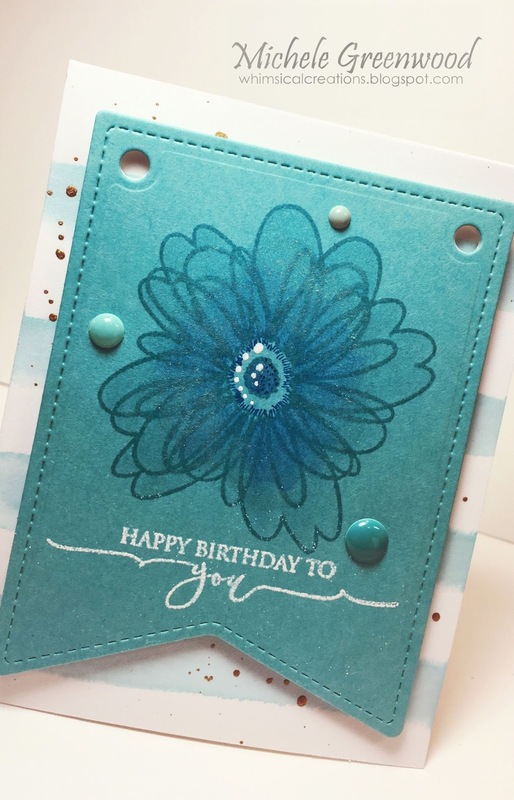 Hi friends – welcome back to another fun tone-on-tone post for a couple totally CAS (clean and simple) cards! This month we are collaborating with Gina K Designs and I adore these scripty sayings so I easily incorporated one. Look closely, you can see the stencil dots; they faded and are super soft IRL! 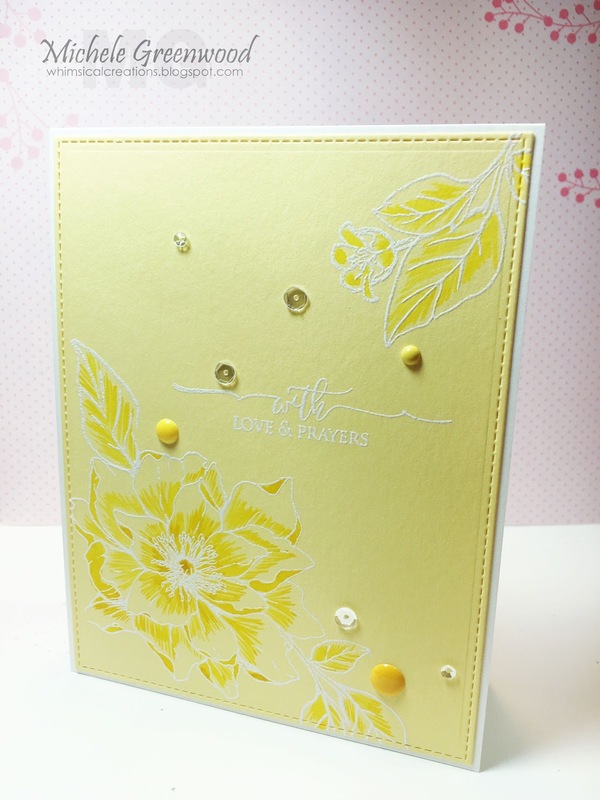 On the yellow card I embossed one of the scripty sentiments from Gina K Designs and on the pink card, I used a stencil and Hero Arts Ombre ink to sponge through the stencil – very subtle. 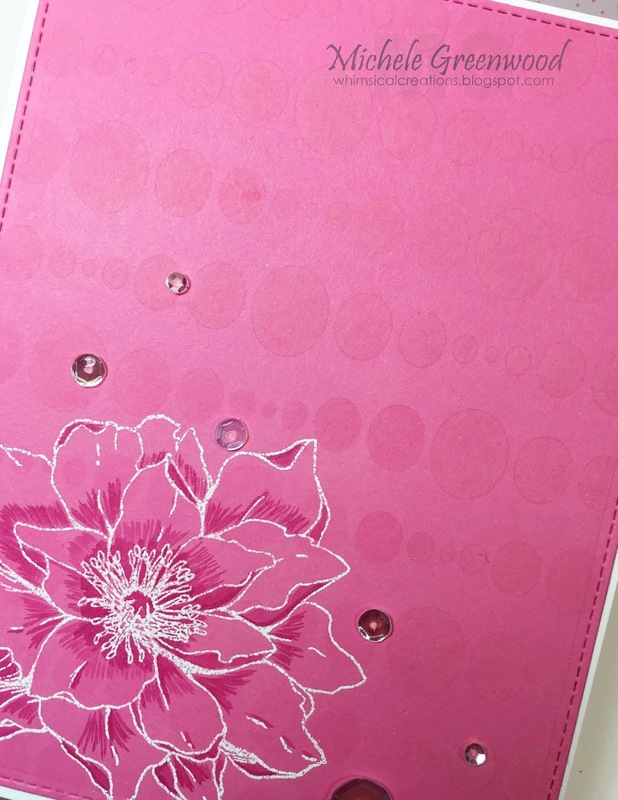 I finished the cards off with sprinkles and sequins. Thanks for stopping by; you have a few more days to join us for our tone-on-tone celebration; link ’em up HERE. 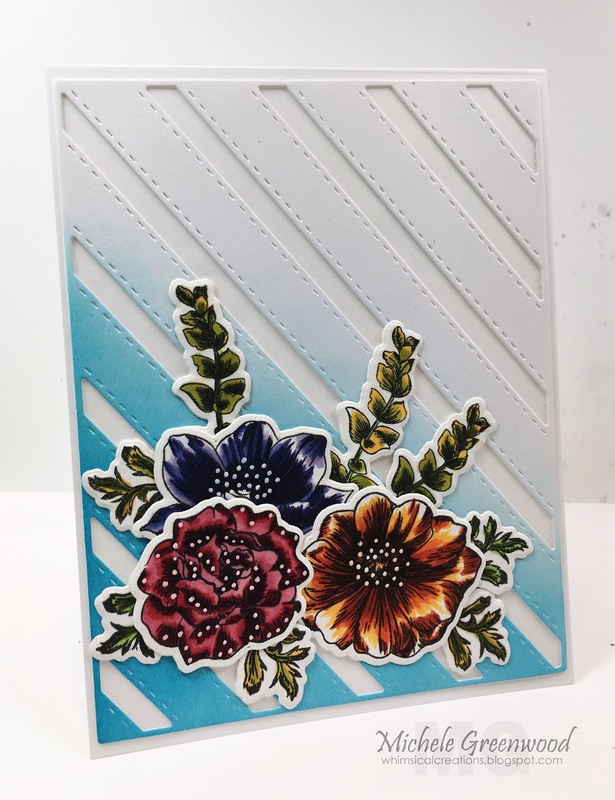 Hi friends – welcome back for another collaboration post with Gina K Designs – we have LOVED using their products this month – thank you Gina K! 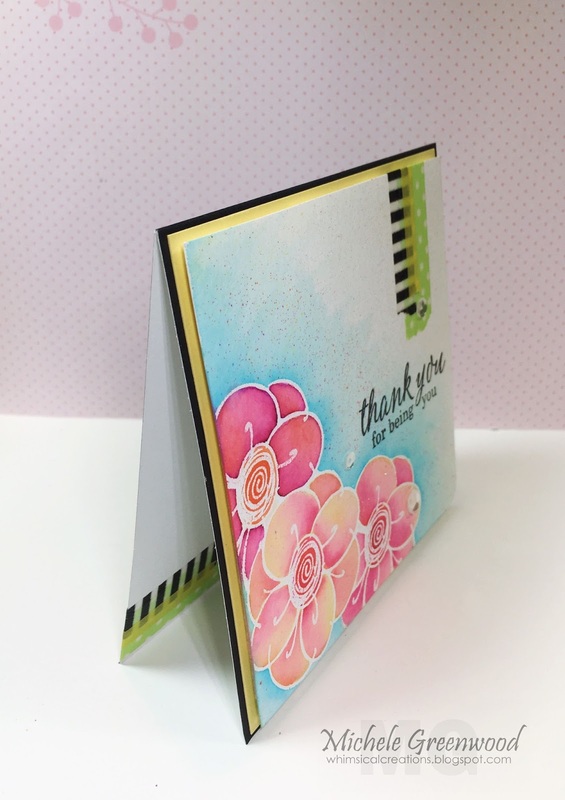 This month our challenge is tone-on-tone; are you catching all the amazing samples from the design team? Lots of good stuff! 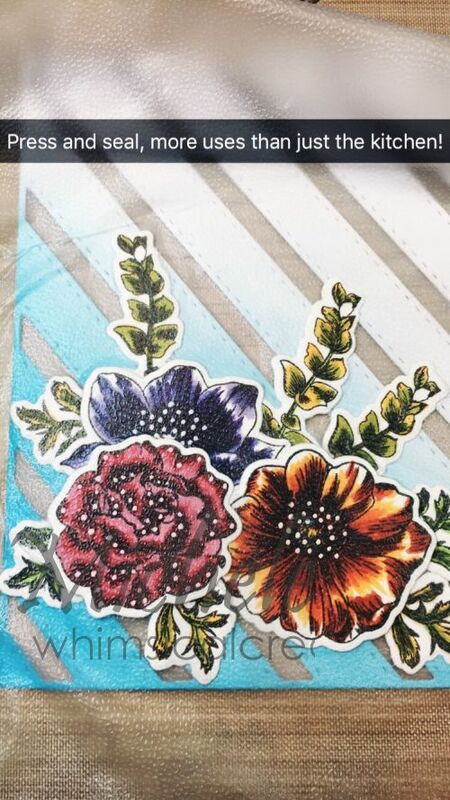 I stamped the large flower from Doodle Buds on each one in various Hero Arts inks. I added some shading with watercolor pencils then blended with LOTS of clear Wink of Stella – gotta love some sparkle! 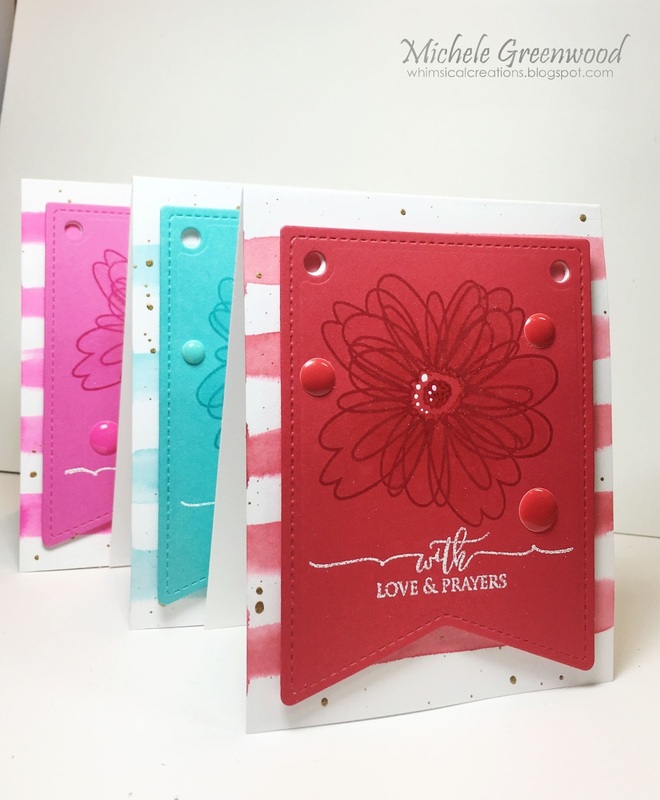 I stamped various sentiments with VersaMark and embossed with Hero Arts white embossing powder; I finished each focal point piece with some white gel dots, distress marker accents and enamel sprinkles. 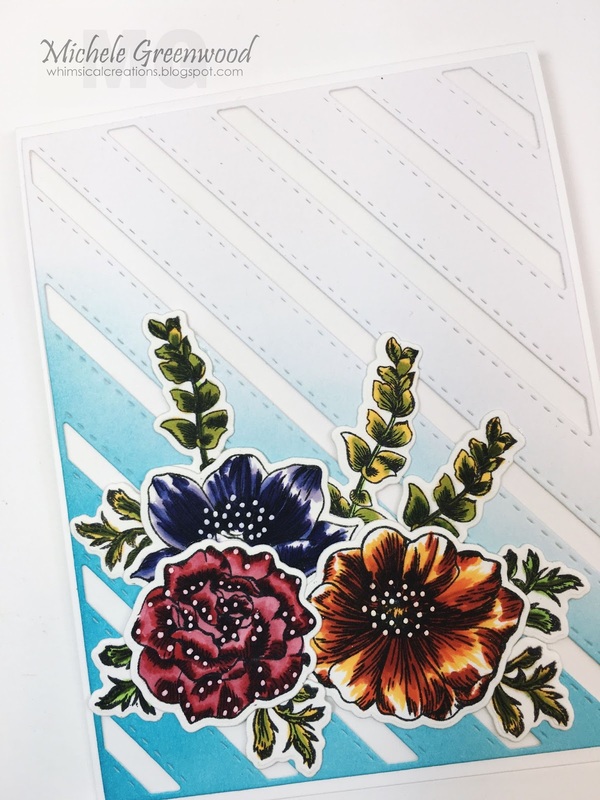 I couldn’t help but create some watercolor lines for the background and even though the Gina K white paper isn’t watercolor paper, it worked just fine! I also flicked on some gold paint just for fun. These were SO FUN TO MAKE! I can’t wait to make more; they were super quick and easy. Be sure to show us YOUR tone-on-tone projects this month; link ’em up here please: TONE-ON-TONE! And thanks for popping in; hope you have a GREAT weekend! Hi friends – welcome back to another Clean and Simple (CAS) post for Hero Arts and Newton’s Nook! If you haven’t already, you still have a few days to join our challenge; link up your CAS cards HERE! Thank you to Newton’s Nook for the treasures to play with; we have ALL so enjoyed your great products! I took some Ranger watercolor paper and used MFT Blueprints to cut two small ‘canvases’ for my faux watercoloring. 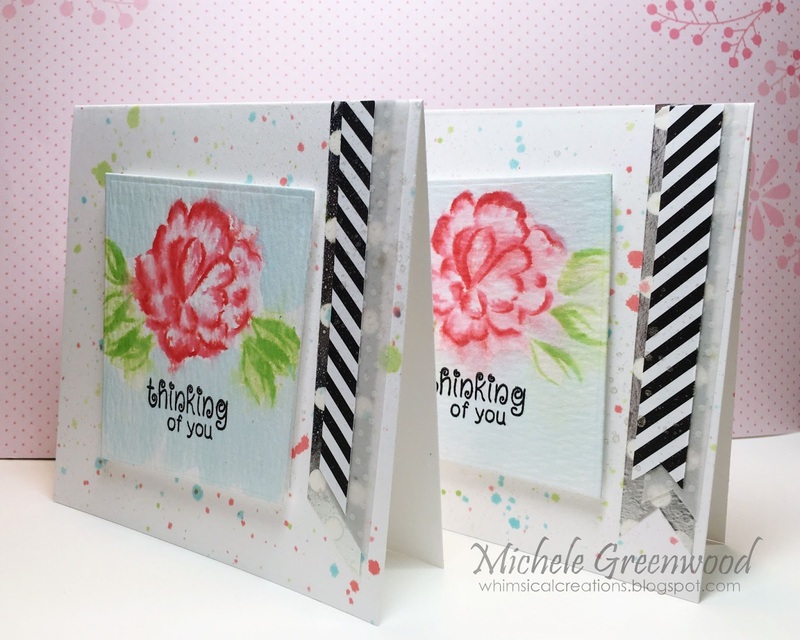 The stamp set is Hero Arts For You layering flowers – so simple to create a watercolor look. 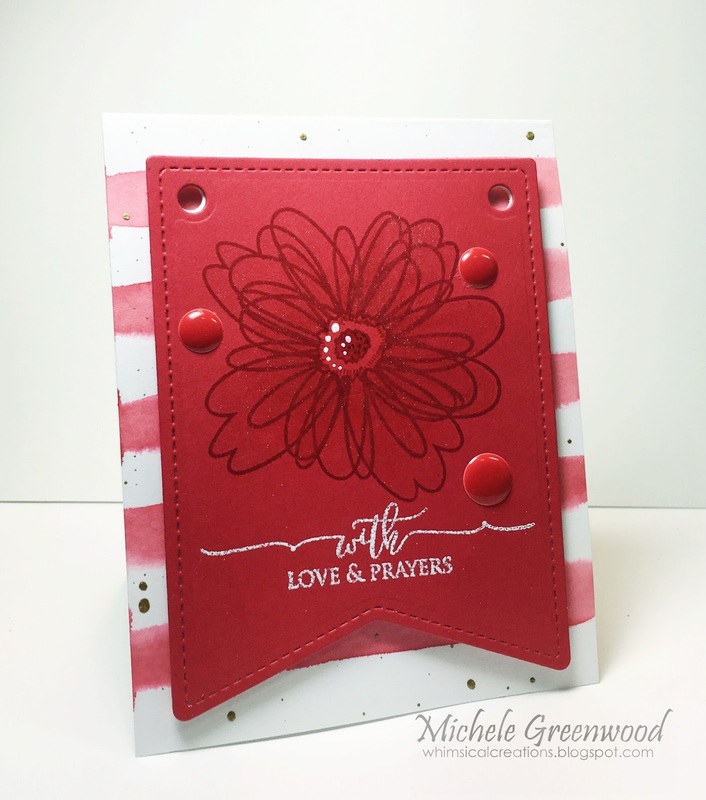 I used the Misti to line up the layers of the flower, the leaves were stamped individually using an acrylic block. 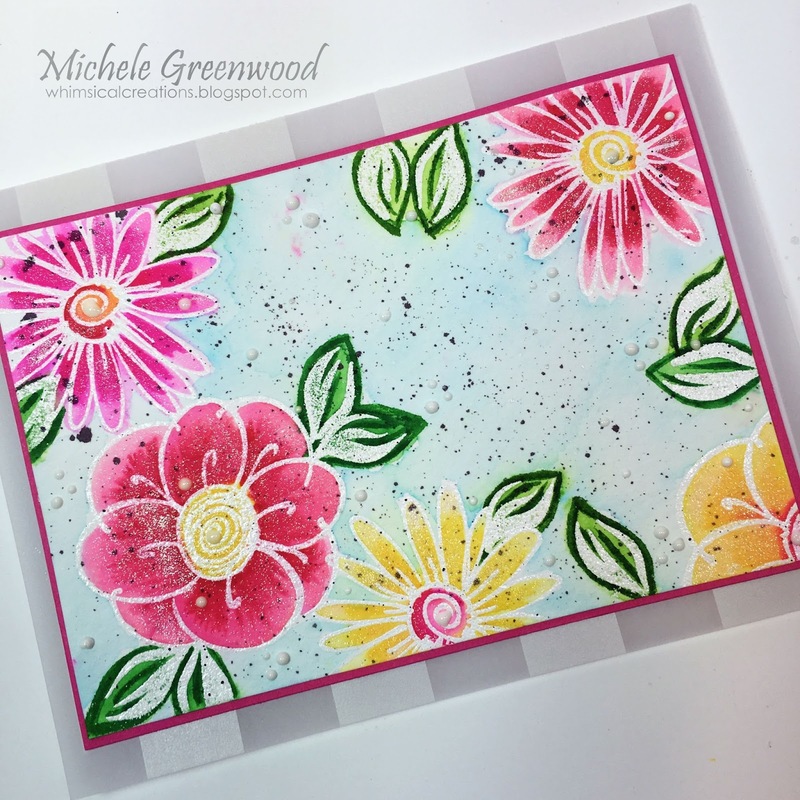 Once I had all the stamping done, I misted the watercolor paper with water and let it run as much as it wanted! Once the flowers/leaves were dry, I added a soft wash of Peacock Feathers, and again once totally dry, I stamped the Newton’s Nook sentiment from Beautiful Wings in Hero Arts Black. You think being CAS, I’d just pop those canvases on some cards and be done huh? Silly thought! HA! 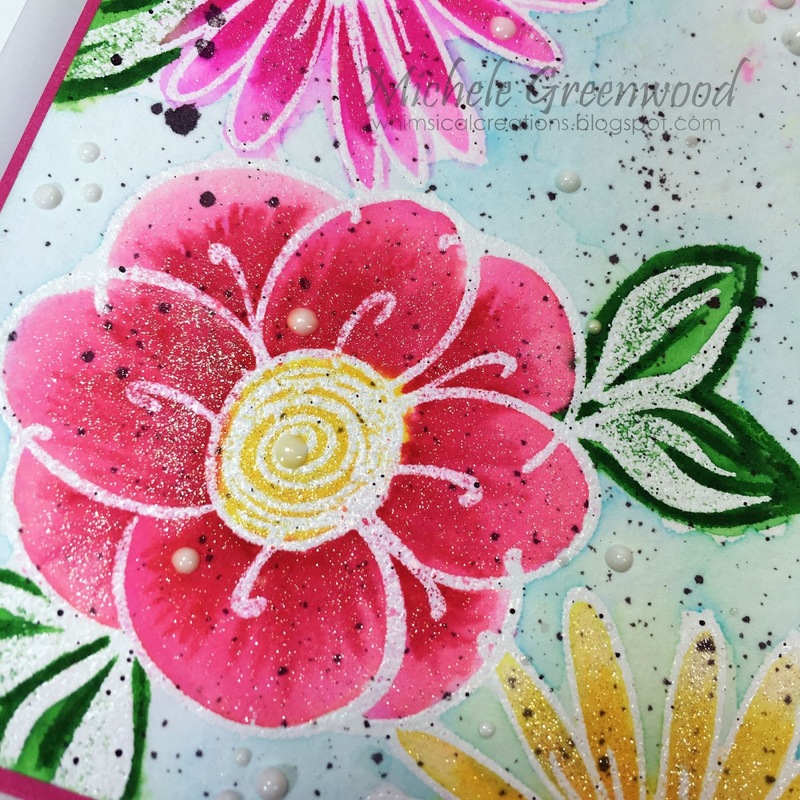 I cut two base cards (4″ x 4″) splattered on some distress ink then sprayed with shimmer mist – can you see the shimmer in the close up? I finished each card off with some vellum, washi tape (cut down to a smaller size) and some MFT designer paper. The focal point was popped up with fun foam. Thanks for stopping by; we hope you’ll join our CAS challenge! Take care!